Real-time ray tracing on Battlefield V was pretty impressive when it came out in November 2018, but GeForce RTX series cards took a pretty big performance hit when turning on this new feature. 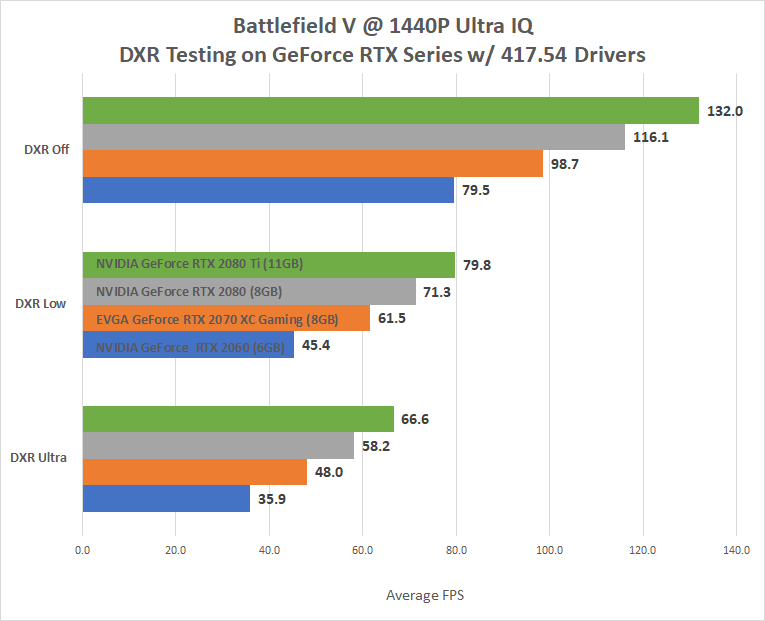 The good news is that in December 2018 a patch for Battlefield V along with the latest GeForce drivers were able to improve DXR performance by up to 50% in some instances. This massive performance improvement was achieved when NVIDIA worked alongside EA and DICE to optimize DXR Ray Tracing in Battlefield V. No changes were done to the DXR quality levels, but rather the number of rays that are included in each scene as the ray tracing levels are increased. Variable rate ray tracing was also enabled, so surfaces that usually get reflections can be better targeted. According to NVIDIA, you’ll be able to play at over 60 FPS on most RTX series cards at 1080P with DXR enabled. This is great news and something we experienced back in November 2018 when we used the NVIDIA GeForce RTX 2080 Ti to look at performance in BFV. We wanted to re-test the GeForce RTX series back in December 2018, but we got busy with the holidays and then the RTX 2060 arrived and took priority. 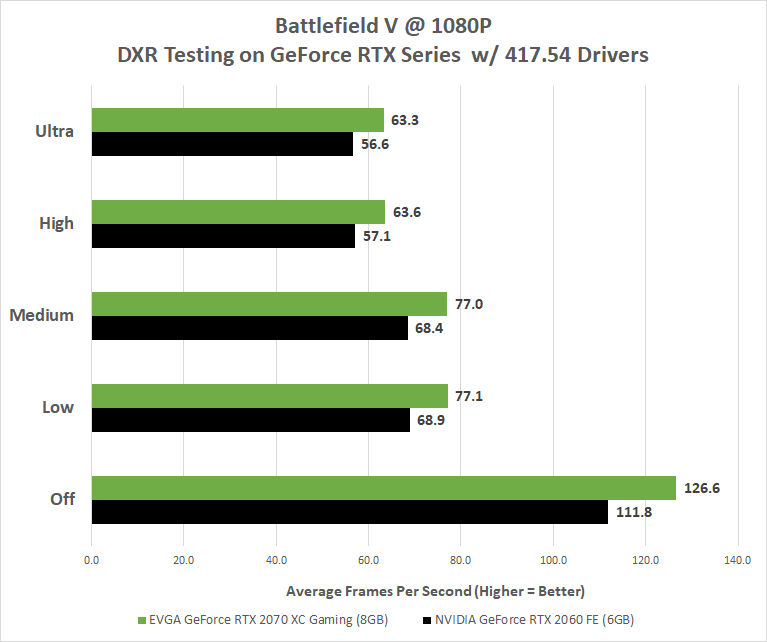 Now that Legit Reviews made it back from CES 2019 we were able to re-test Battlefield V on the GeForce RTX 2060, 2070, 2080 and 2080 Ti at various DXR settings. To try out DXR in Battlefield V we turned to our GPU test system that is comprised of an Intel Core i7-8086K processor running on a Gigbyte Z370 Aorus Gaming 7 motherboard with 32GB of G.Skill DDR4-3200 RGB memory. All testing was done on a fresh install of Windows 10 Pro v1809 with GeForce 417.54 video card drivers. All testing was done over January 12-13th, 2019 and all Battlefield V and Windows updates were applied. We then went down to the DXR Raytrace Reflections Quality setting and tested out the cards at low, medium, high and ultra DXR settings. When we started doing out testing we noticed that the difference in performance between low/medium and high/ultra was minimal. Therefore, we will be focusing on low and ultra DXR settings for the rest of the article to keep things simple. Low is important to talk about as that is the starting point for real-time ray tracing and ultra should most certainly be looked at as that is as good as DXR gets. Battlefield V at 1920 x 1080 is fairly forgiving to the latest GeForce RTX 20 series cards. With DXR disabled and the image quality set to ultra, we were able to average over 110 FPS on the four current cards. With DXR enabled and set to ‘low’ we found once again that we were able to average over 60 FPS on all of the models. The NVIDIA GeForce RTX 2060 6GB GDDR6 Founders Edition model was able to average 68.9 FPS. 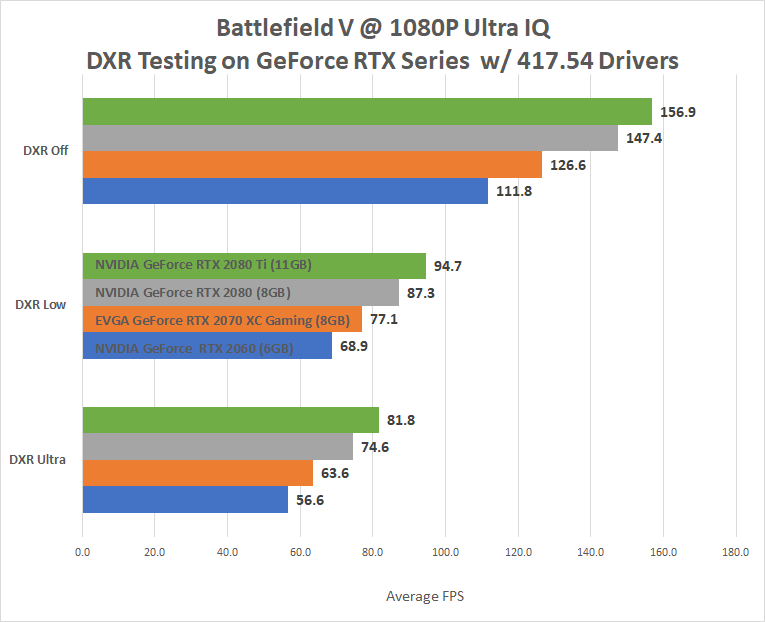 With the DXR cranked up to ‘Ultra’ all of the cards took a decent performance hit and the RTX 2060 dipped below 60 FPS on average, but it was still averaging a respectable 56.6 FPS. Back in November 2018 we were getting 87.7 FPS on the RTX 2080 Ti with DXR set to ‘low’ and now we are getting 94.7 FPS. So, we are seeing an 8% performance improvement with NVIDIA’s flagship RTX series card with the changes. With the display resolution cranked up to 2560 x 1440 we found Battlefield V to be more than playable on the entire GeForce RTX series. Even the new entry-level RTX card, the RTX 2060, was able to average almost 80 FPS with Ultra IQ settings and DXR turned off. Once you enable DXR ‘Low’ we found the GeForce RTX 2060 FE dropped down to 45 FPS on average and the gaming experience wasn’t great. You’ll need a GeForce RTX 2070 or better to have an enjoyable real-time ray tracing gaming experience at 1440P. With the DXR set to ‘Ultra’ only the mighty RTX 2080 Ti could average over 60 FPS and deliver a good gaming experience with everything cranked up in Battlefield V.
Back in November 2018 we were getting 70.7 FPS on the RTX 2080 Ti with DXR set to ‘low’ and now we are getting 79.8 FPS. So, we are seeing a nice 13% performance improvement with the optimizations. The performance optimizations in Battlefield V are much welcomed and we saw an 8-13% performance improvement on the GeForec RTX 2080 Ti FE with ‘low’ ray-tracing settings. This is the first time that we have looked at all of the RTX 20 series cards in Battlefield V and we are pretty impressed with the performance. 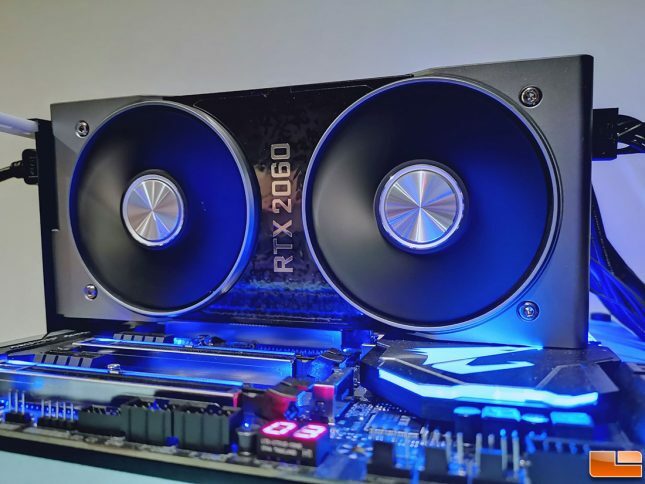 The new GeForce RTX 2060 Founders Edition card with 6GB of GDDR6 was able to average at nearly 70 FPS (1080p) with DXR enabled at its base setting. The game looked great and it just goes to show that a $349 graphics card can utilize the latest features.